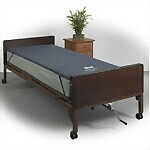 The New Products section contains recent additions to the Elder Depot online catalog. Be sure to check back as new items are added frequently. 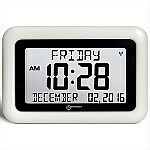 Large, easy-to-read display clock includes time, day of the week, date, month and year in a non-abbreviated format. Helpful for those with Dementia or other memory issues. Does not function as an alarm clock. Premium Gel/Foam Hospital Bed Pad Overlay, 34" x 76" x 3.5"
Easily installs on top of your 42" wide bariatric bed to create a comfortable sleeping environment, while helping to prevent and treat pressure sores. 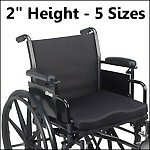 Universal foam cushioned wheelchair tray is covered in heat-sealed vinyl on the soft top and hard bottom (Reversible). 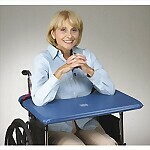 Can be used as a table, but also includes an around-the-chair strap to assist with posture support. Reversible when a firm surface is needed. 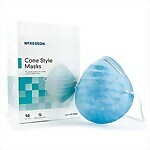 Fits wheelchairs: 16", 18", 20" & 22"
These standard hospital masks have a cone style, scalloped design that provides comfort, coolness, and breathability by holding the mask away from the face, providing better visibility. Get this item for $14.99 when you buy the case! This heavy duty 9" inner lip plate includes an inner edge to prevent foot from spilling off of the plate while eating and a skid-proof rubber base to prevent the plate from sliding. 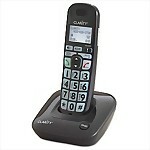 This easy to use expandable cordless phone is great for seniors. 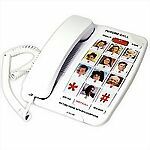 Features include a large, backlit keypad, high contrast numbers, 35dB amplification (that's 12X louder than a standard phone), bright visual ringer, and an easy to see Caller ID display. 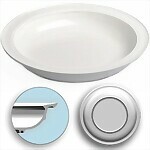 Finger Contraction Cushion grip separates finger and prevents closure of the hand to avoid skin breakdown and atrophe. These ultra soft foot pillows are filled with fluffy spun fiber for cushioning and comfort to protect sensitive heels against pressure sores. 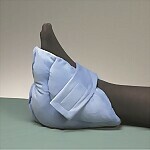 Covered with low-friction brushed polyester fabric to reduce skin shear. An extra-wide strap with Velcro closures keep the cushions securely in place. A unique construction of high-resilient molded foam provides optimal support, stabilization, and pressure redistribution for low risk patients seeking comfort and support. Includes a water resistant stretch cover. Available in 5 Sizes for wheelchairs 16", 18" or 20"
Premium Gel/Foam Bariatric Hospital Bed Pad Overlay, 42" x 76" x 3.5"
This 40dB amplified corded speakerphone from Future Call includes 10 memory picture buttons to dial the person you want to call along with a programmable emergency button. Phone can be set to photo only dialing or two-touch dialing to dial as a standard keypad also. 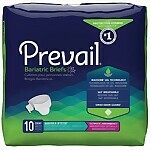 Prevail Bariatric A Briefs are specially designed to provide a better, more comfortable fit for larger wearers with Direct Lock™ Panels and offer ultimate absorbency protection and skin wellness with 360° Breathable Zones™ and MaxSorb Gel™ technology to lock in moisture. 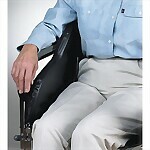 Fits waists/hips from 62" to 73"
These 1.5" wide bolster pads can be placed on both sides of the wheelchair for bilateral upper torso support. They can also be used individually on either side of the wheelchair to control lateral leaning or adjust the seat width for smaller users. 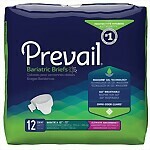 Prevail Bariatric BB Briefs are specially designed to provide a better, more comfortable fit for the largest of wearers with Expandex™ Wings and offer ultimate absorbency protection and skin wellness with 360° Breathable Zones™ and MaxSorb Gel™ technology to lock in moisture. Fits waists/hips up to 100"
Attends new Extended Wear Briefs were developed for users and caregivers looking for a product that can be used for extended periods of time, either in the day or night. Attend’s Dry-Lock® Containment core increases the overall capacity of the product, allowing users to stay dry, confident and comfortable between changes.